Dr. Duch’s research focuses on early childhood determinants of long-term health and the evaluation of parent, and classroom-based interventions that address developmental and health disparities, primarily in Latino children. 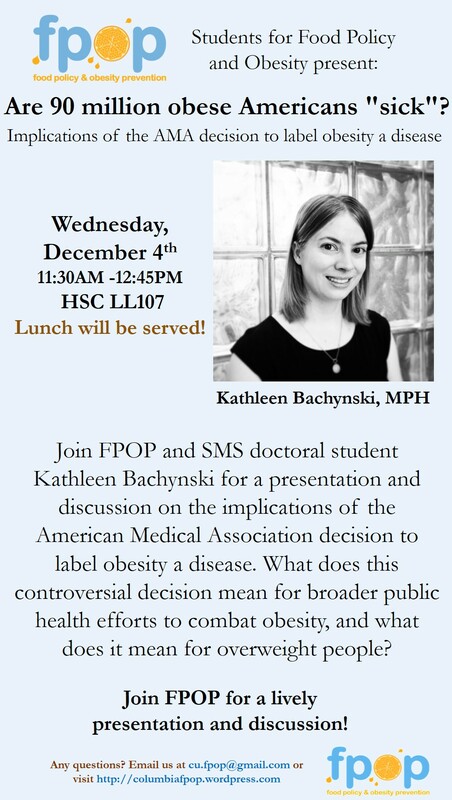 This presentation will focus on modifiable correlates to obesity in the home and the parent-child relationship in early life. 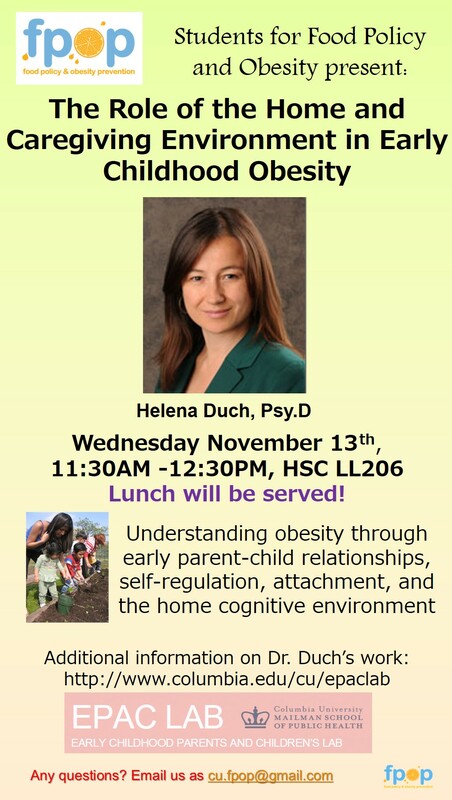 Particularly, Dr. Duch will review the research on self-regulation, attachment and the home cognitive environment during the toddler/ preschool years and their association with child overweight and obesity, using data from large, nationally representative samples. In addition, she will describe the implementation of a parent-child physical activity intervention with Early Head Start families in Washington Heights and the innovative use of physical activity measurement tools with this population. Hey FPOPers! Join us for our General Body Meeting on Wednesday, November 6th, 2013 in HSC LL207 at 11:30-12:30pm! Having made it through slightly over half of your first semester we are interested to know YOUR opinions and inputs! 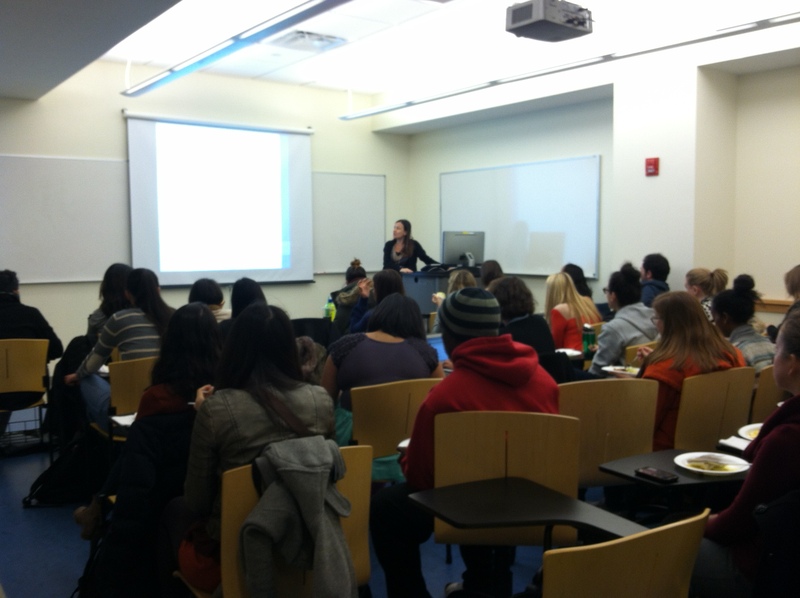 What kinds of events and opportunities would you like to see from FPOP next semester? What have you learned (or wish that you did) about Food Policy and Obesity at Mailman? Think about it, and bring your questions and comments! Food will be provided at the meeting! 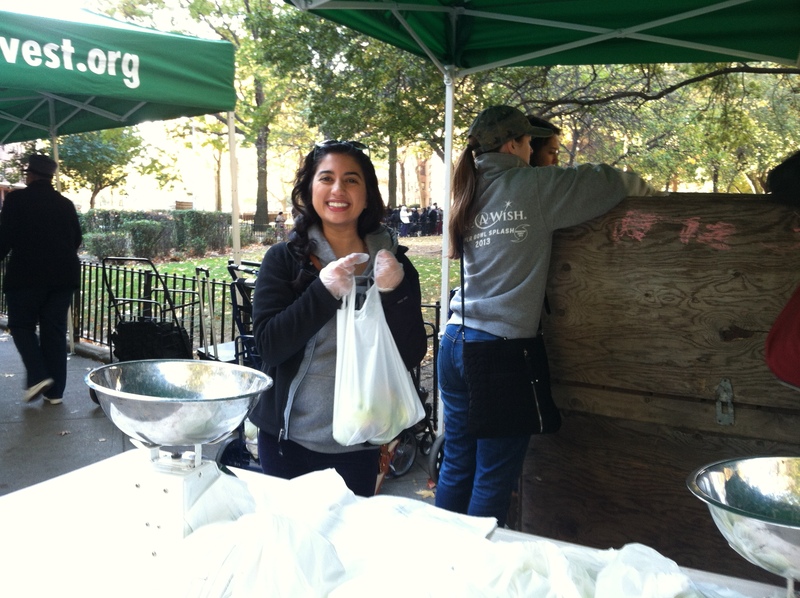 The City Harvest Healthy Neighborhoods Mobile Market event this past Saturday, October 26th, was a big success! Thank you for all the FPOP volunteers who came out bright and early on Saturday morning to help. 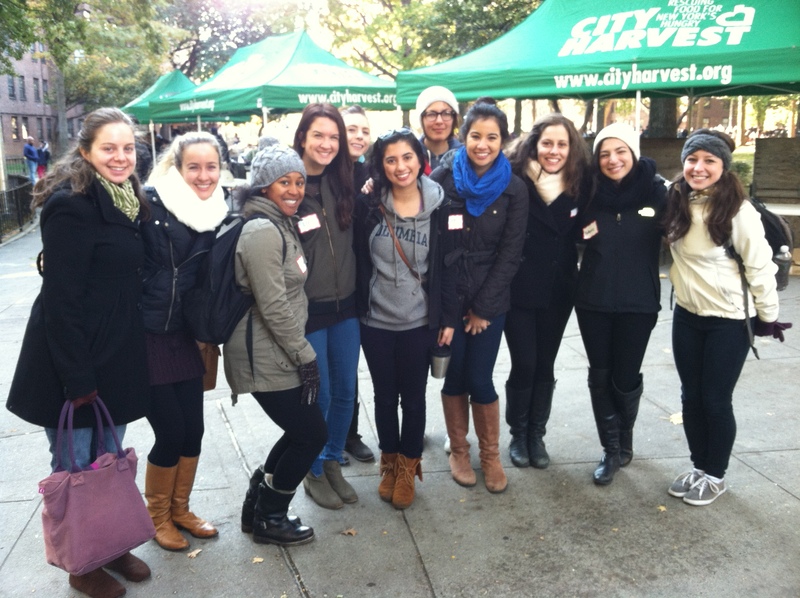 FPOP volunteers helped to distribute over 26,000 pounds of fresh produce to community members in the Washington Heights and Inwood area in conjunction with City Harvest’s Healthy Neighborhoods Mobile Market. City Harvest’s Mobile Markets are free, farmers-market style distributions of fresh fruits and vegetables intended to relieve food insecurity in low-income communities across New York City’s five boroughs. 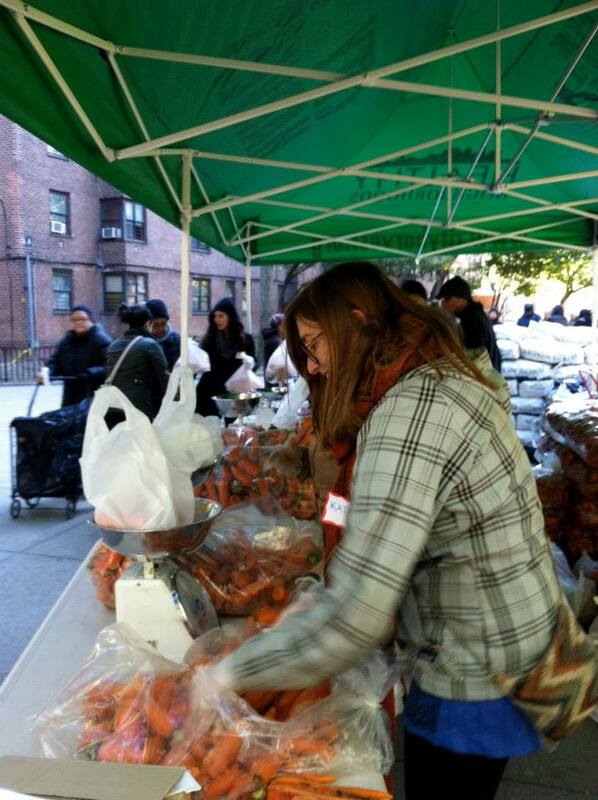 Our FPOP volunteers braved cold morning temperatures for over four and a half hours, distributing carrots, onions, potatoes, winter squash and apples to community members, many of whom waited in line for over an hour. The Washington Heights/Inwood Mobile Market operates year-round, twice a month, and Market Manager Pedro Urbaez says that it is the busiest City Harvest mobile market in the city. For more information on their mission and how you can get involved, don’t hesitate to check out their site! Stay tuned for more exciting FPOP events! 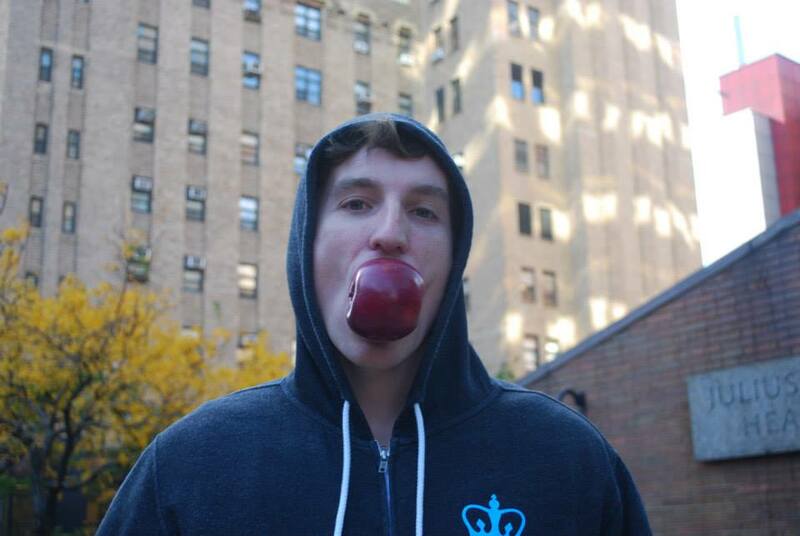 Event Recap: Big Apple Crunch Day! 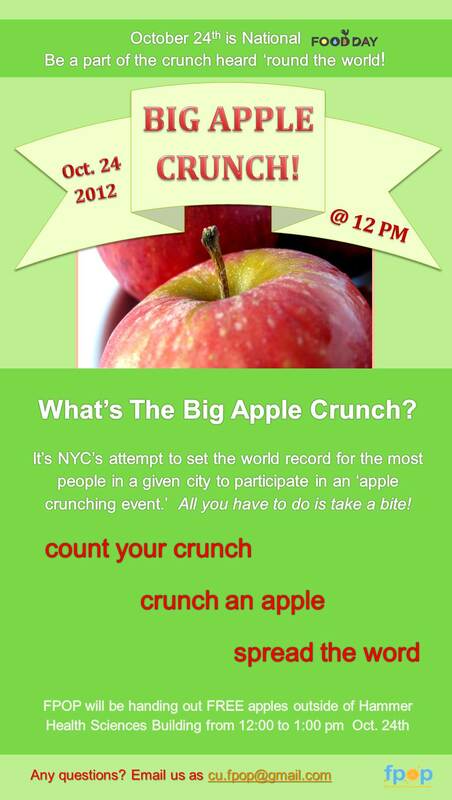 Big Apple Crunch Day was a huge success! 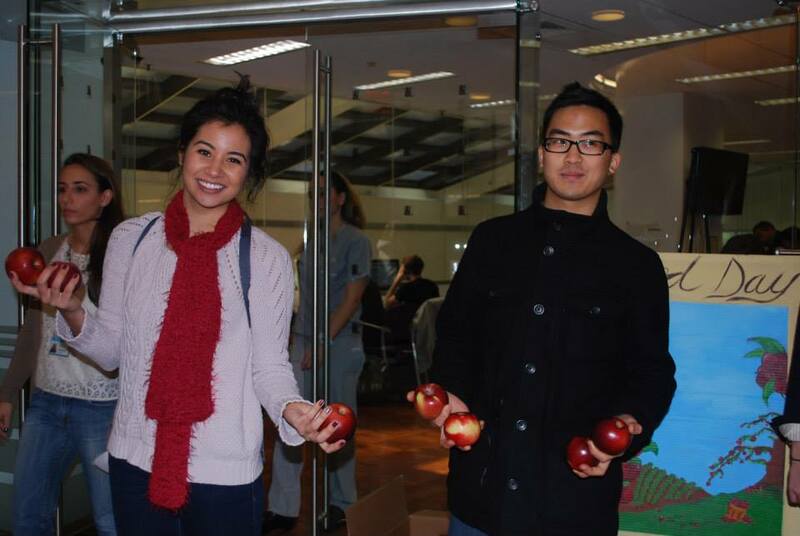 Thank you to everyone who came out and took an apple (or several) to support healthy eating! Although it was a bit chilly, we appreciate the support from everyone who came out to crunch with us in front of Hammer. 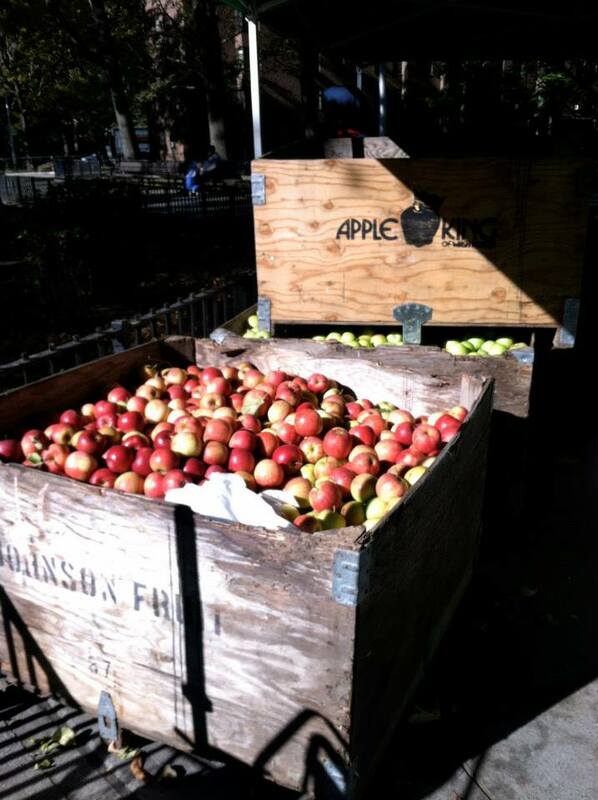 Big Apple Crunch Day was hosted and supported by various Greenmarket Farmer’s markets across New York City, so if you’re interested in more events and happenings, don’t hesitate to check out their website. 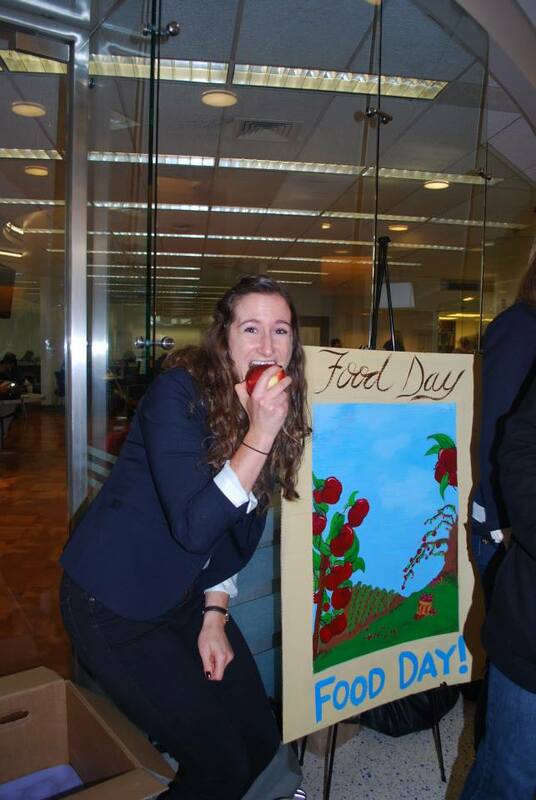 It was fortunate that Food Day also occurred on the same day as the Big Apple Crunch Day; there was really not better time to support fresh, local food (in this case, apples), and healthy eating! Stay tuned for more FPOP events! Stay crunchy. 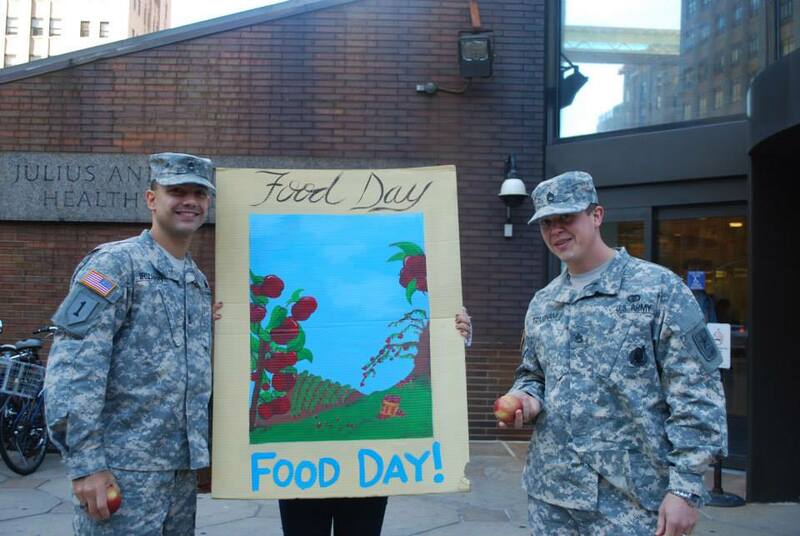 FPOP celebrates Food Day with the Big Apple Crunch! This event will take place on FOOD DAY, October 24, 2013 and is sponsored by CU FPOP – Students for Food Policy and Obesity Prevention. 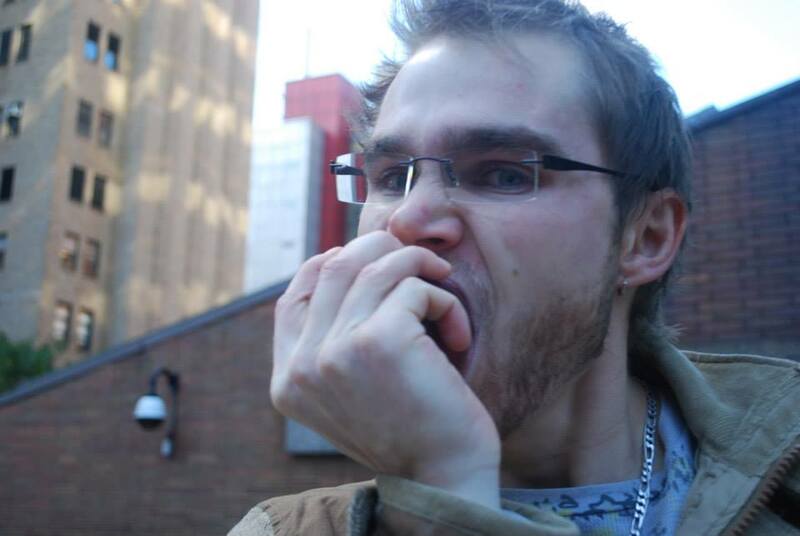 CUMC students can participate by crunching an apple outside of Hammer Health Sciences from 12:00 PM to 1:00 PM to help spread the word about food and healthy eating!